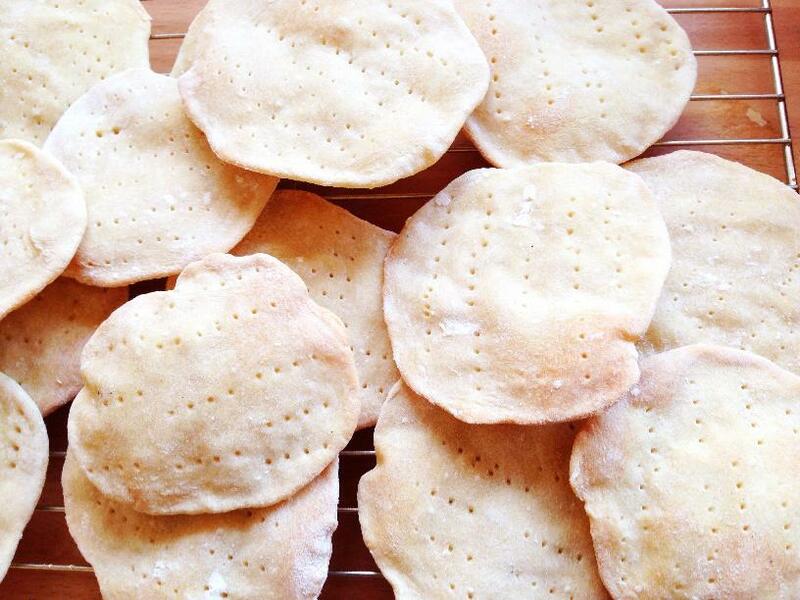 Would you believe that you can make cracker bread using only 2 ingredients plus some water? It’s true, and these crackers (much like Jewish matzo bread) are easy and quick to make as you don’t have to wait for the yeast–because there isn’t any. This crispy flatbread is the perfect after-school snack, and is yummers with butter, jam, cheese spread, or just enjoyed on its own. I’ve only given the measurements in cups because it’s so simple, it’s not worth getting out the scales or measuring jug. If the mix seems too wet then simply add some more flour. 1. 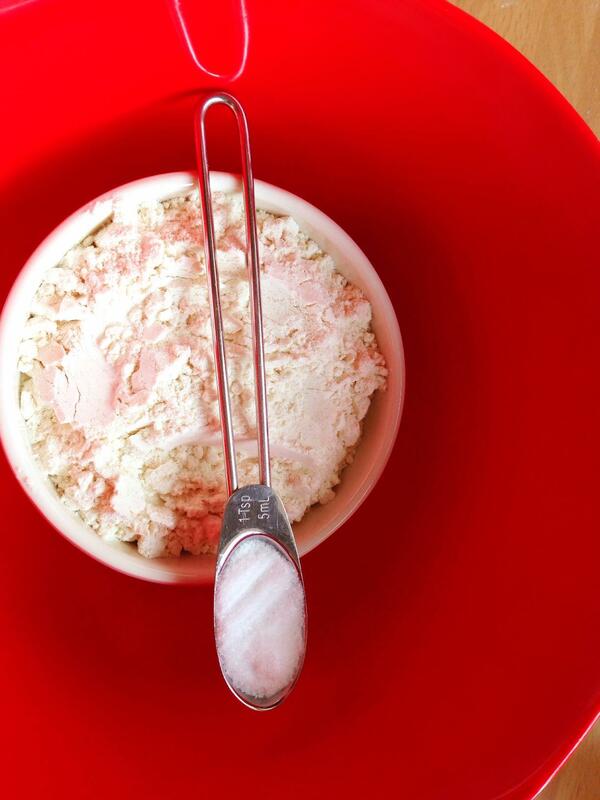 Put all your ingredients into a bowl and mix it up with a spoon until it starts to look dough like. 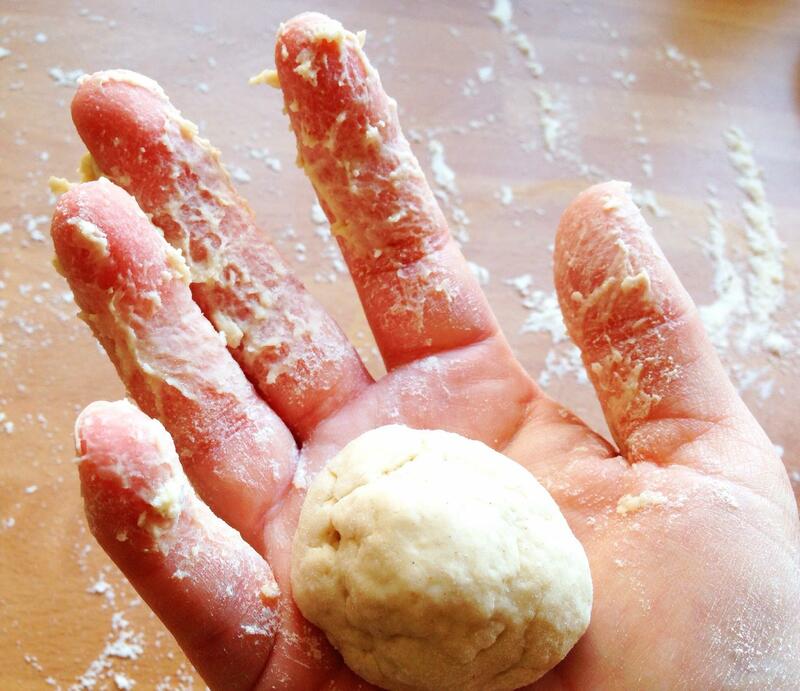 Now get your hands in to start kneading, until you get a nice soft dough–add more flour if it’s too sticky. 2. Preheat your oven to 200c, 400f, gas 6. Sprinkle some flour on your work surface. Take a piece of dough about the size of a walnut (smaller than a golf ball), and roll it into a ball. 3. 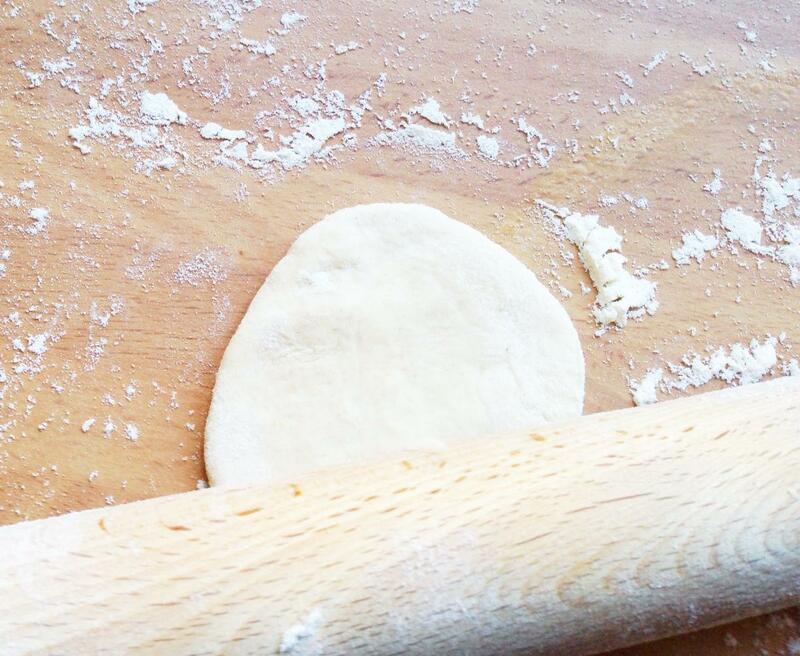 Put your dough ball onto the floured surface and use a rolling pin to roll it out as thin as you can (should be about 2mm-3mm). 4. Put each cracker onto a baking tray as you finish it. When they are all rolled out, prick them all over with a fork. This is important as it stops them from puffing up. 5. 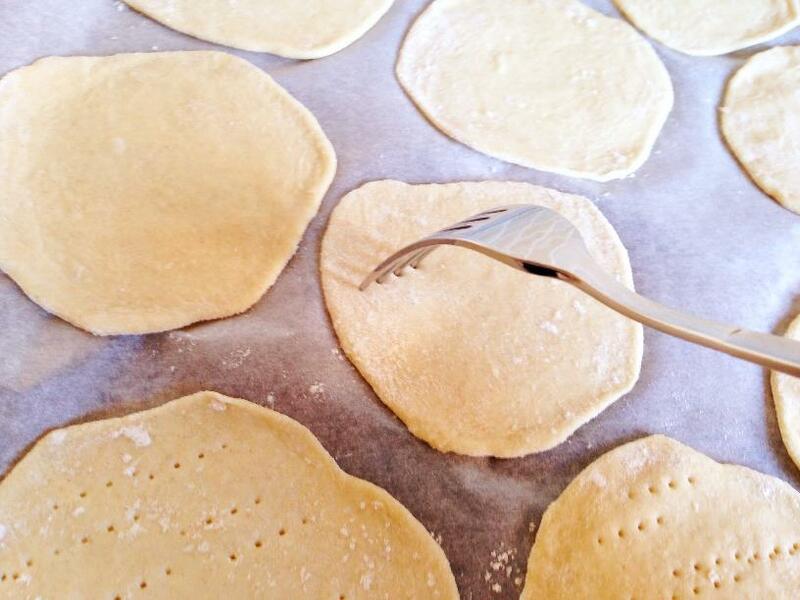 Get a grown-up to put your crackers into the oven, and bake for 15-20 minutes. They won’t crisp up much more after they’re cooled, so if they feel a bit soft in places, put them back into the oven, otherwise you’ll have chewy crackers. 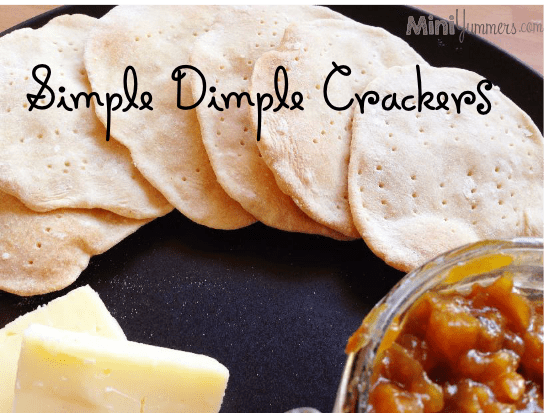 Whether you call them crackers, crackerbread, or matzo bread, these little crunchy beauties last for a good 2 weeks if you store them in an airtight container. Matzo is an unleavened bread, which means that it is completely flat with no raising agent used. 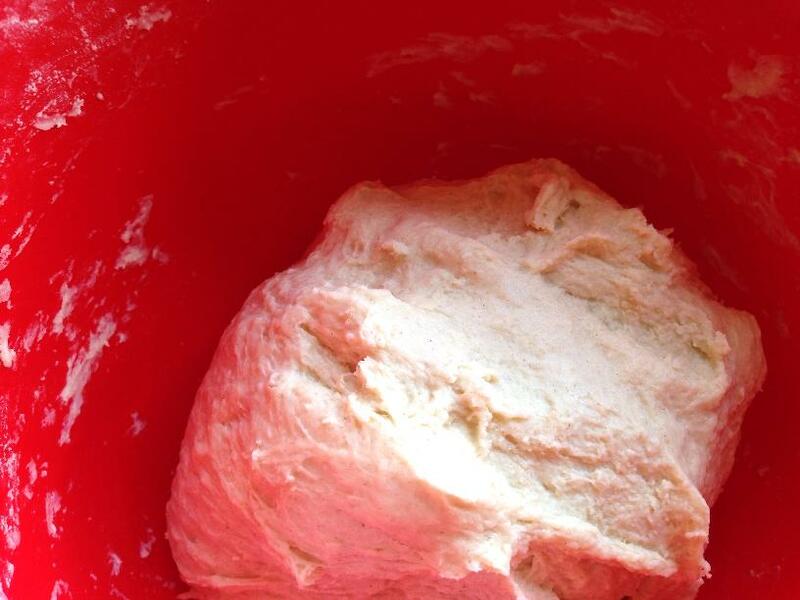 Usually when we make bread, we use yeast to make our bread rise, or if we’re making something like soda bread, we’d use baking soda to make our bread rise. But with unleavened breads, this isn’t necessary at all. Matzo is a traditional Jewish food that is eaten during Passover. This is because eating leavened bread is forbidden under Jewish rules during this religious holiday. In order to make our crackers into authentic matzo, we’d need to leave out the salt, and mix up the dough and have them cooked in less than 18 minutes! You can make matzo that has other ingredients added, such as egg or fruit juice, but you can’t eat this type of matzo during Passover. While your crackers are in the oven, why not take 5 minutes to shake up some homemade butter using a jam jar–this is one of our most popular posts. The creamy butter will taste amazing when spread on one of your crackers.